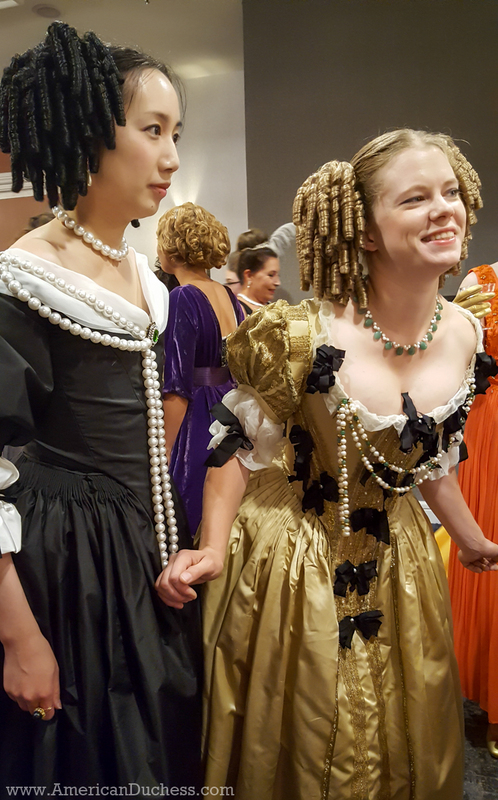 I've recently been eyeballing the 1660 bodice from the V&A, remembering how much I love the 1660s and that I've only made one gown once-upon-a-time but really enjoyed it. I also binged on two seasons of "Versailles," and felt giddy tremors of joy when I saw the incredibly detailed chapter on this very bodice in the V&A publication Seventeenth-Century Women's Dress Patterns: Book 2 . Add to that a meant-to-be 6 yard piece of golden duchesse satin marinating in my stash and I'm there, planning my gown for Costume College 2018. But then I remembered that Angela Mombers made a stunning version of this dress earlier this year....and I remembered the six gorgeous women wearing Baroque gowns at CoCo this year, one of them gold and divine....and then I saw Angela Clayton's shimmering orange 1660s confection....and even just this morning I saw Atelier Nostalgia's most recent work on her version of this very same V&A bodice. Vivien and Elizabeth in gorgeous Cavalier dress. Oh no! I felt...weirdness...like...should I not do this gown now because others have already done it and are already doing it? Will they think I copied them? Am I unoriginal? Shouldn't I find something new and interesting and not already done? The thing is.....everything has been done. 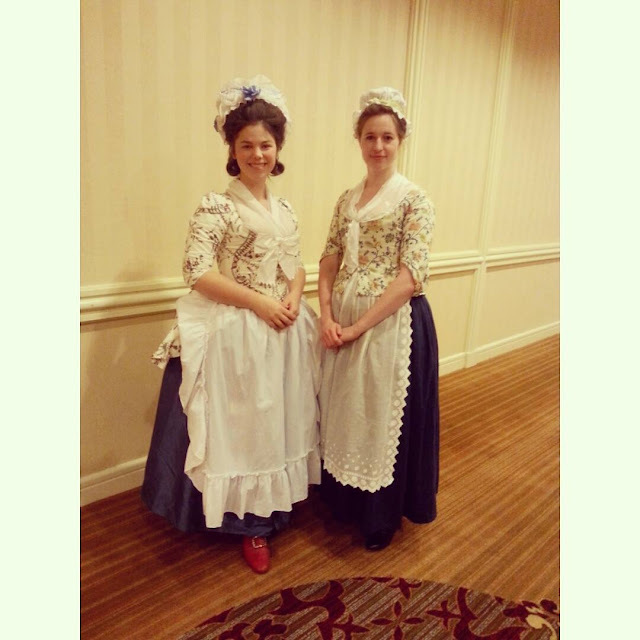 There is nothing new in historical costuming! Even this original 1660s bodice survives with at least two other examples that are incredibly similar, yet each has its own unique markers. Many gowns made from the same or similar fabric - the "curtain-a-long" project - every one of these is so different. It's as much about the millinery as the cut of the gown, remember. Costume College 2013. If you're feeling intimidated from what's come before, take a deep breath and remember that you're an individual - your style sense is your own. History belongs to everyone. 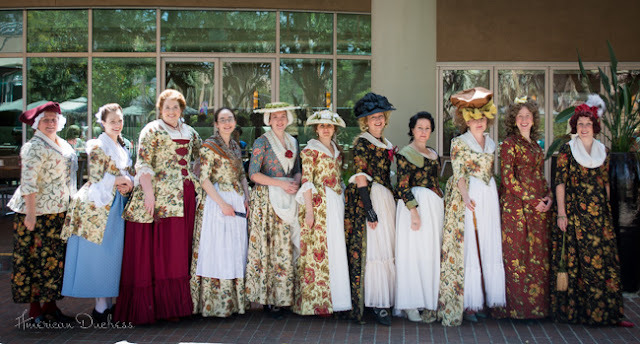 Nobody can own historical fashion, the designs, the colors, the trims, the techniques....all of this is available to us to explore and learn and use to create expressions of ourselves through costume. 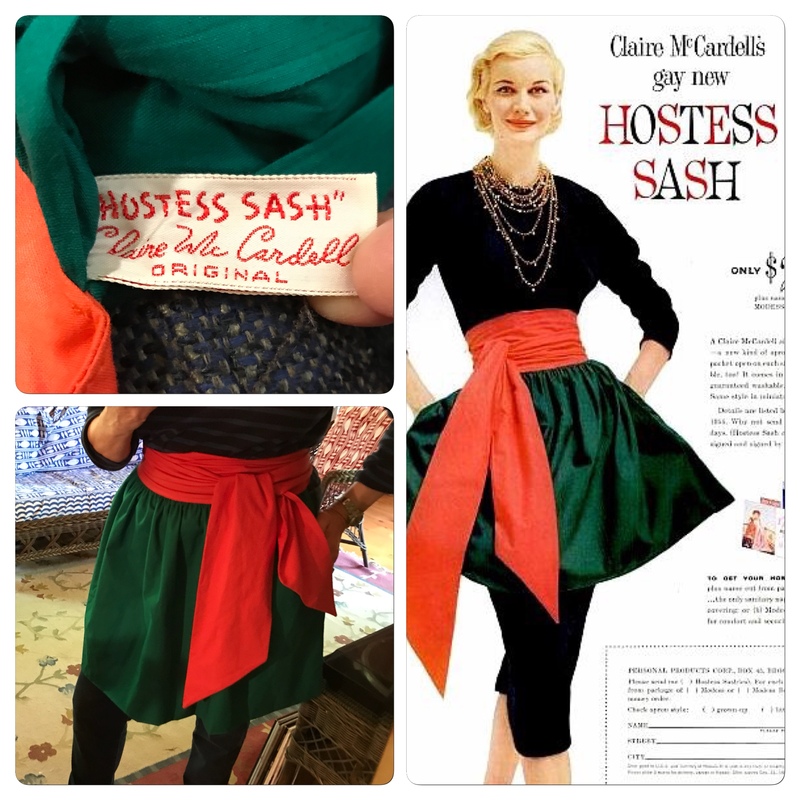 You will always put your own unique spin on whatever it is you make, just as dressmakers of centuries gone by copied fashionable dress from magazines, prints, paintings, the court, etc., but did it in their own ways. The fabric and color choices, the trim, the fit and silhouette - all of these things will differ between gowns that come from the same source material. 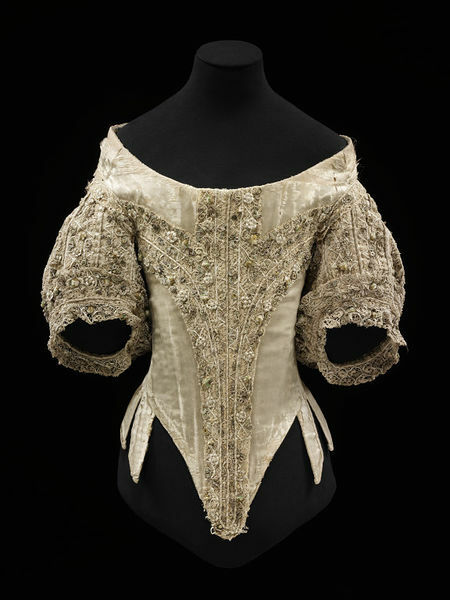 In a perfect world, I would love to get everyone who has made the 1660 V&A bodice (or Bath, or Claydon House) together to gab about our experiences and take some awesome photos. 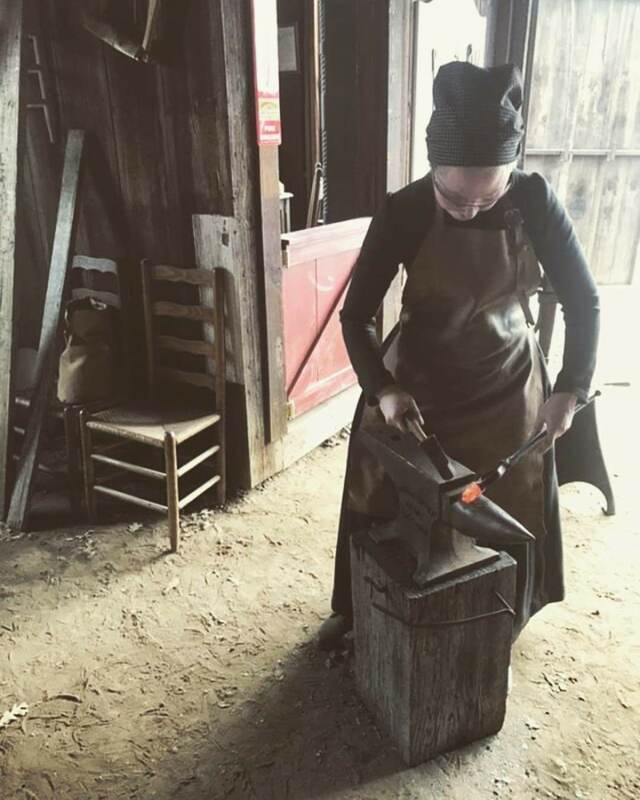 It seems like quite a cool way to connect to each other through making and experiencing. We don't have to compete. 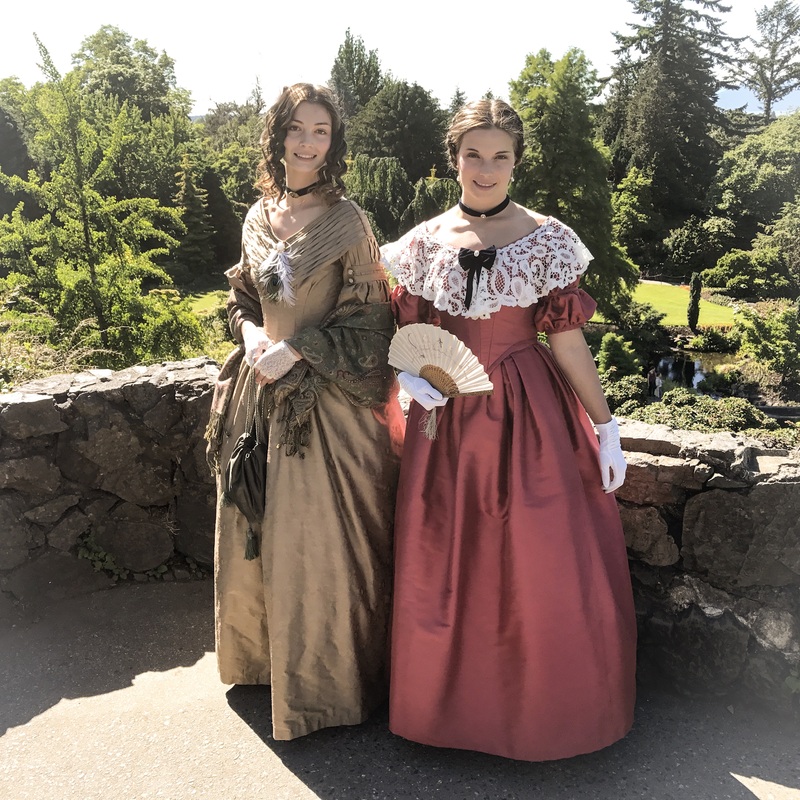 There should be no fear, reluctance, competition, or jealousy in historical dress - we are all here to have fun, learn, experience, play, and enjoy this special slice of history. 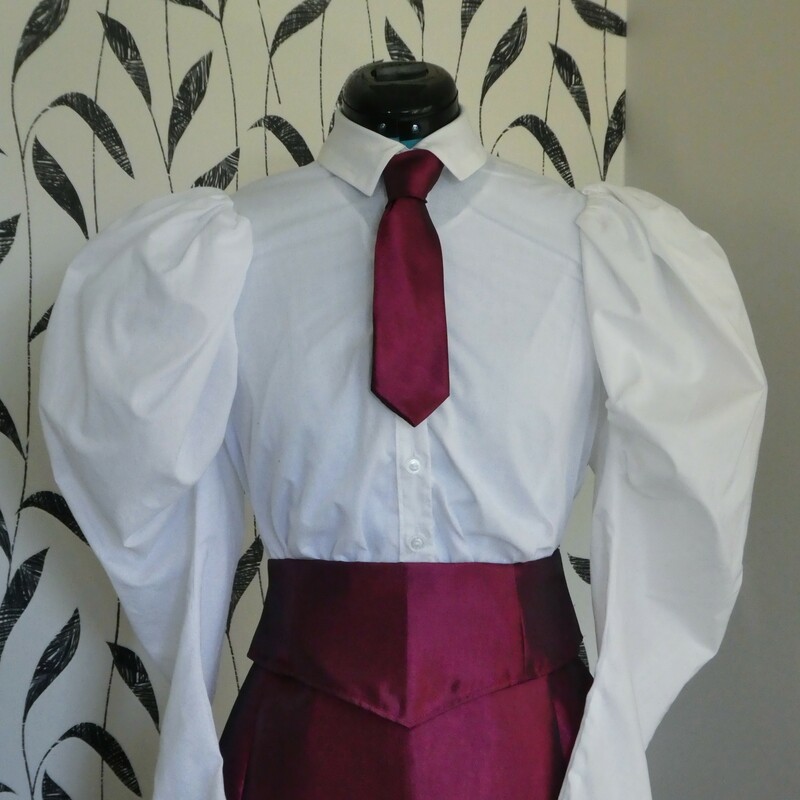 The Claydon House bodice is gridded out in Patterns of Fashion 1 by Janet Arnold. The Bath gown is diagramed in The Cut of Women's Clothes by Norah Waugh. There is also a picture of the Claydon House bodice in Waugh. Your 1660's is going to amazing!! There is a conference in Gettysburg, the Civilian Conference. Presenters get a length of conference fabric (men and women) to make a vest or gown. The first presentation of the conference is everyone’s interpretation of the fabric with their inspiration. 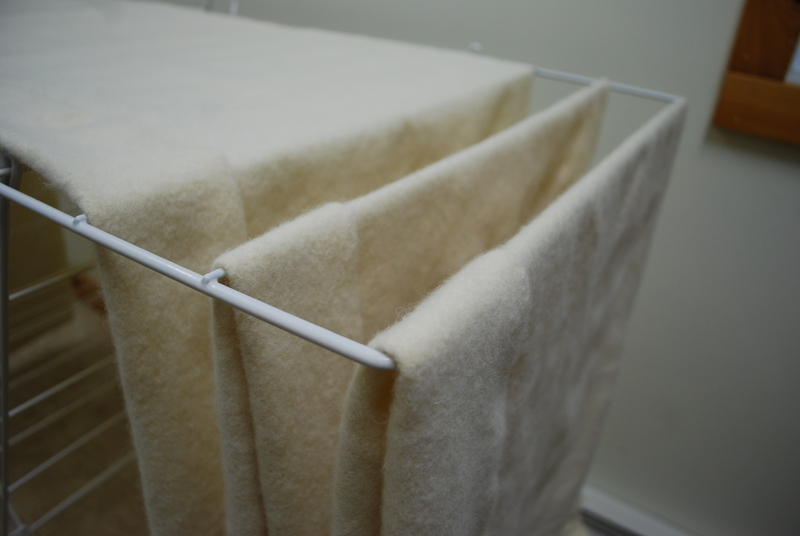 It’s wonderful to see how the fabric spoke to everyone. I think you've reached the right conclusion. 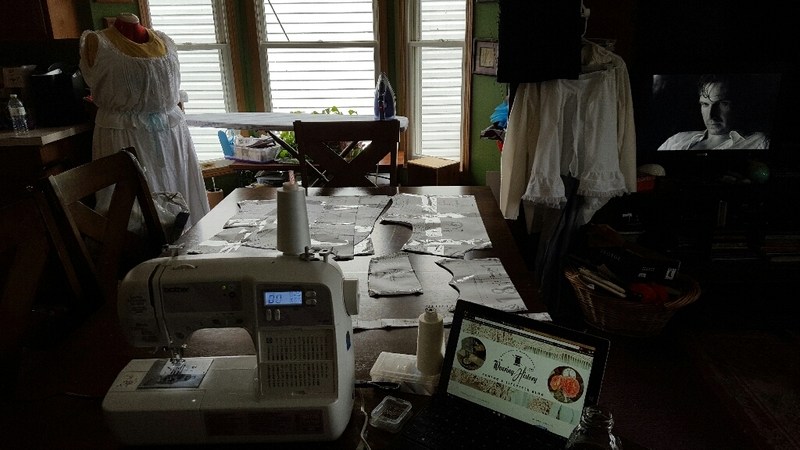 Your dress won't come out exactly like the other dresses made by other costumers, and you will gain knowledge and experience about that bodice that you could not have gotten otherwise. 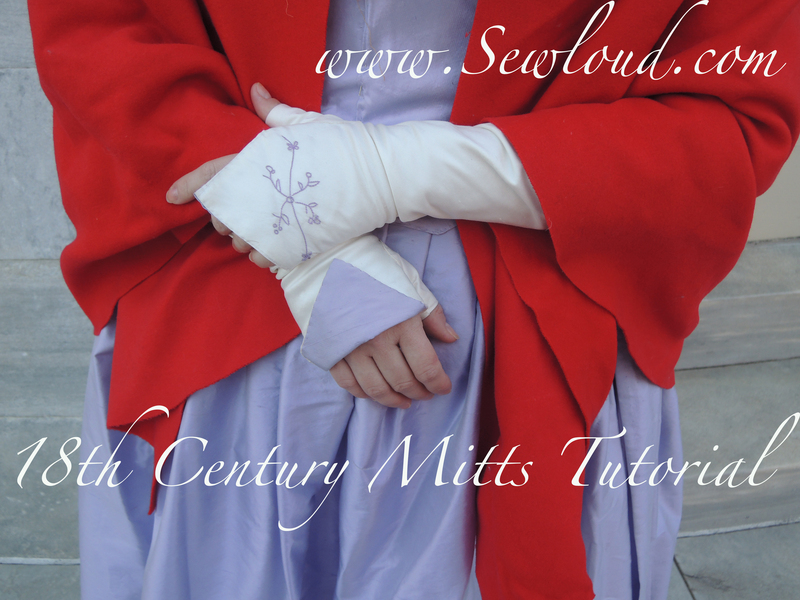 The 1660s bodice is ubiquitous in 17th century reenactment fashion in the same way an robe a l'anglaise is ubiquitous in 18th century reenactment fashion. It's just the fashionable dress shape of the time. A golden satin 1660s V&A bodice is as groundbreaking as a blue robe a l'anglaise. The real issue is not dress pattern or even the color. 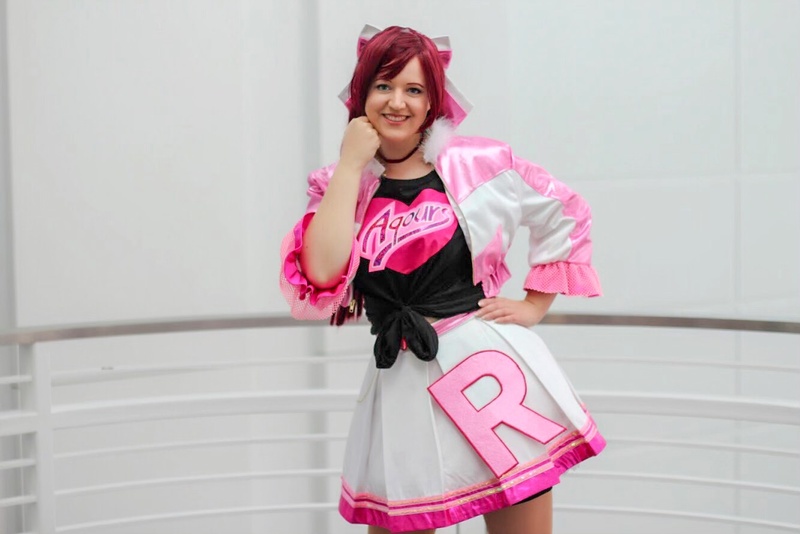 The problem is that you're trying to copy a specific dress and because extant dresses of the time are much more scarce, other people will also copy the very same dress. And there lies a problem. Which you probably haven't encountered much in other time periods - that you invite comparison not just between your dress and the original but also between your dress and someone else's. 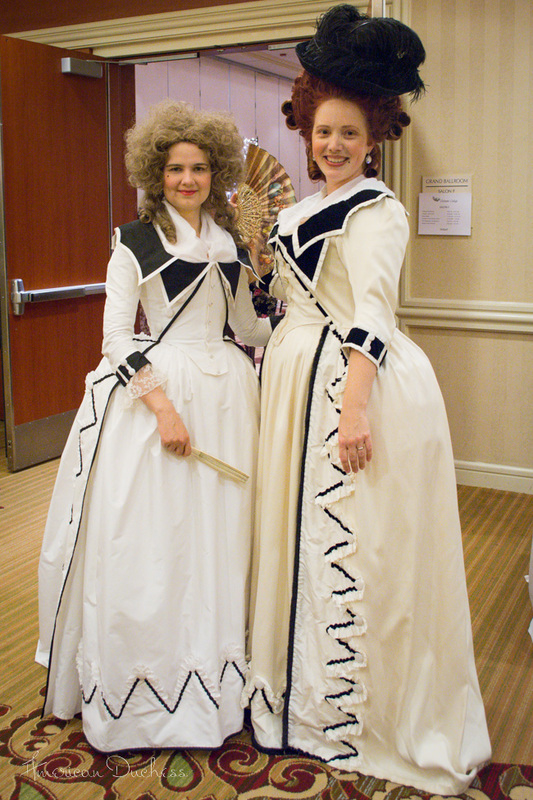 But historical costuming doesn't hand out awards at big conventions like cosplay does. That means that the only place where even an inevitable comparison between near identical gowns is a competition is in your head. Yes! Great post, Lauren, that's exactly how I feel: we do this for fun, and we're all individuals taking part: none of us 'did it first', we're in a world of 7.774 billion people with billions and billions who came before throughout history. Let's just enjoy and take part in history, and fun! I love seeing all these gowns side by side- they are similar but not exactly the same! I love your book. 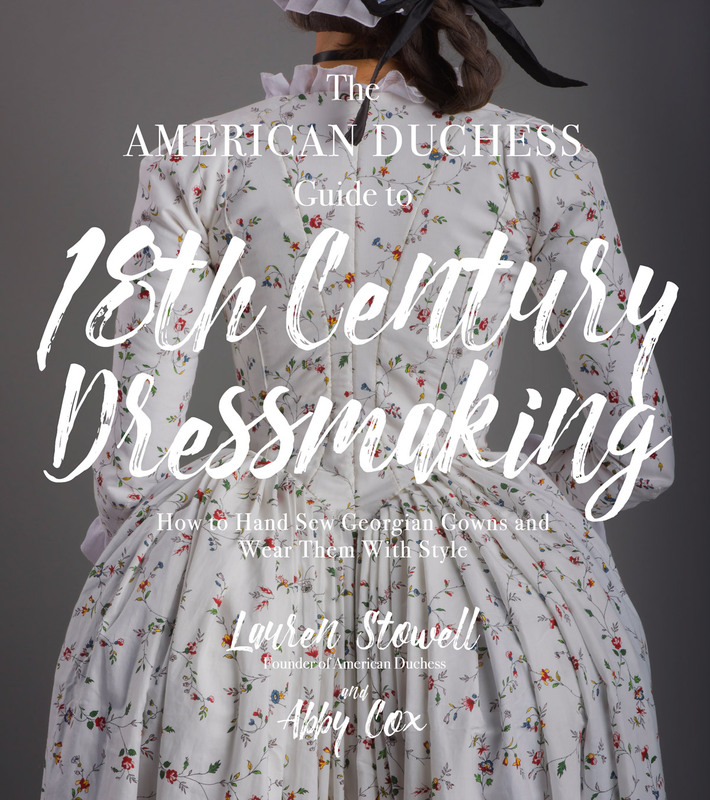 I haven't been able to try the patterns yet, but all the tips and the handstitching guide is really helping me work on a regency dress. Yes, we next need a book on 17th century fashion as so few real examples exist. Especially 1630-1699. And if someone is making the same gown/outfit as you are, continue on as there are bound to be some differences.